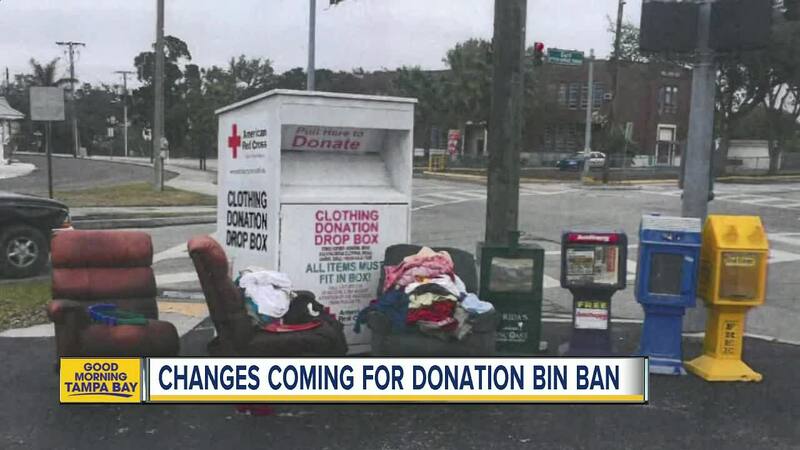 NEW PORT RICHEY, Fla – Clothing donation bins will stay in New Port Richey, a reversal for a community that was planning to ban them just a few months ago. Back in March, ABC Action News told you the City Council voted to ban the donation bins because they had become illegal dumping eyesores. 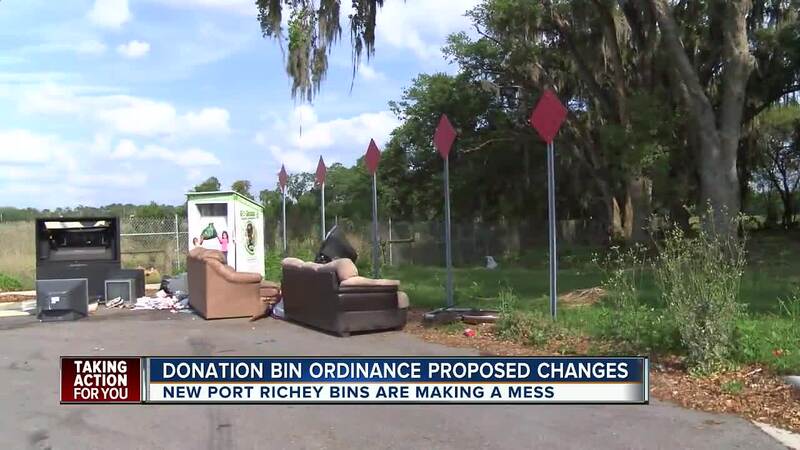 The City Council and the New Port Richey mayor agreed that the bins were getting out of control, and the only way to deal with them was to get rid of them. Council is now moving towards a compromise and plans to vote Tuesday evening on a new ordinance allowing donation bins, but companies will now have to go through a new permitting process. Part of that process includes a site plan for each bin location and a pickup schedule. Companies will be fined if the area around the bins become an eyesore again. City leaders are still working on a dollar amount for the fine.